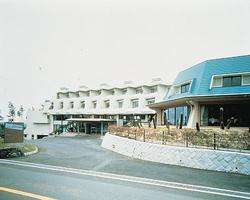 This resort is set on a graceful plateau on the Izu Peninsula. A Mecca for sports, the area offers all the comforts of a four-season resort location. Local museums and churches lend a romantic atmosphere. On-site amenities include a swimming pool, croquet, and a restaurant featuring an international menu.